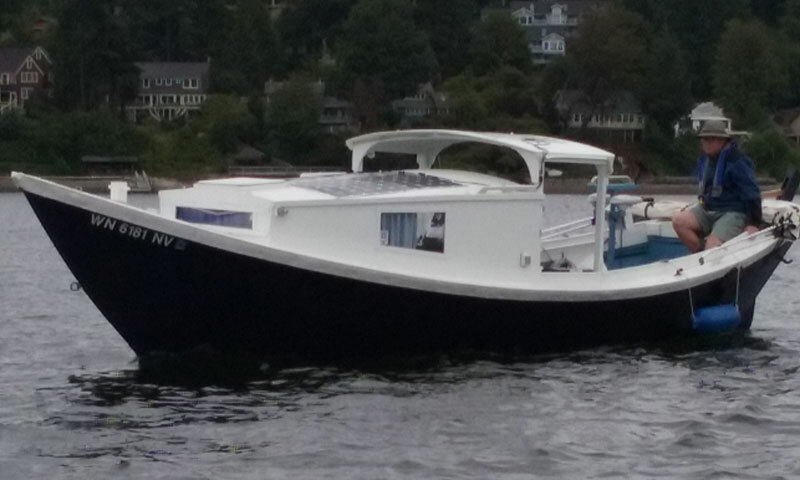 Advances in electric propulsion, solar panels, and batteries has made it possible to build a boat for long distance cruising in Puget Sound. Daddy’s Third is a St. Pierre Dory with accommodations for two + and a cruising range of 150 nautical miles at 3 knots (50 nautical miles at 5.2 knots) on a single charge. The solar panels can provide 2.8 knots directly, or i hr of cruising at hull speed for every 4 hrs of sunshine. This is my third electric dory built from Glen-L’s plans, and finally I think I have a configuration that really works for us.